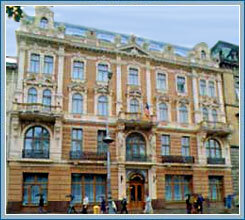 The four-star Grand Lviv Hotel (4 floors, 60 rooms) is ideally located in the city centre close to the Opera Theatre. The hotel was built in 1898 and reconstructed in 1992. Airport - 15 minutes. Railway station - 10 minutes.